Are you planning to sell your current car? If this is your first time to sell a car, it can be quite the exciting experience. The good news is that now more than ever, it’s easier to get more eyes to see any vehicle that you’re selling, thanks to car selling websites such as Carmudi, the best place to sell your car online. 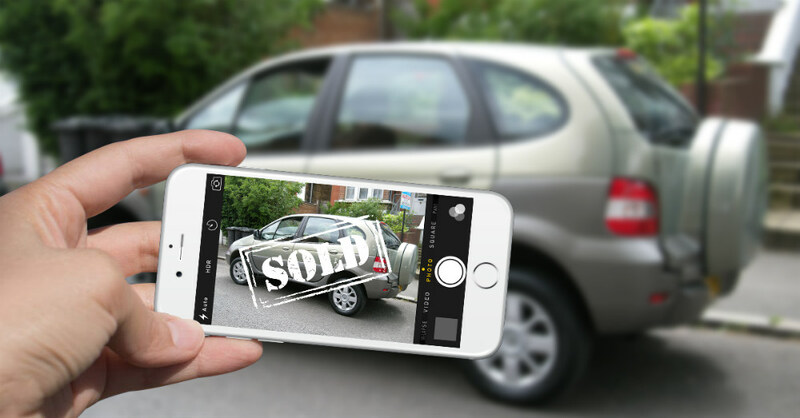 Here are 10 tips to help you get the value out of selling your used car online. Carmudi’s online selling tool makes it easy for you to input these details into your online ad. Double-check the accuracy of the information you provide to prevent complications during the sale process. If your car is a secondhand purchase and it has had previous owners, it pays to know all about its history. The biggest advantage to you as a seller is that it adds to your credibility, giving potential buyers better reason to believe that you are a trustworthy seller. List all previous owners of the vehicle and let the buyer know of any major repairs that the car underwent. If you have the vehicle’s service records, relay them to the buyer as well. If your car is a hot commodity, it’s going to be easy to sell even if the set price is close to brand new. On the other hand, if it’s not, then you’ll have to lower your ask. The question is, by how much? To know the fair price for your car, you’ll need to check how much other sellers are asking for your type of car. The Carmudi search tool makes it easy for you to do so. After you have surveyed Carmudi’s classified ads, you will be in a better position to establish a fair price for your car. Of course, pricing will depend on a car’s age, condition, and mileage, among other things, and you are still free to follow your intuition. If you have a specific selling price in mind, add a little to the amount so you have some wiggle room for negotiation. This way, if a buyer asks you for a lower price, you’ll have no problem allowing it. No one wants to buy a bad looking car. People often make up their minds to buy a car or not within the first few seconds, so you definitely want your car to make the best first impression. Before posting your car for sale online, make sure it’s clean inside and out. Have professional detailing done if necessary. The work you put in to make your car look good will all be for naught if you don’t take good quality pictures of it. Blurry, out-of-focus, and low-res pictures are a definite deal breaker. Fortunately, with most modern digital cameras today, you can easily take high-res, high quality pictures of your car. Make sure to take pictures of your car in daylight, and avoid taking pictures with your cell phone, as their cameras tend to compress images, thus decreasing picture quality and leaving much to be desired. When posting your car on Carmudi, you will be asked to provide a description of your car. This is your opportunity to list any issues with your car. If there’s anything in your car that bothers you, chances are, these will bother your buyers as well. When posting your car for sale on Carmudi, be sure that you are ready to receive text messages and phone calls from possible car buyers. Check and double check the contact information you provide, and answer inquiries promptly and politely. Just as selling a used car can be an anxious time for you, so can it be for the buyer. He or she is, after all, spending a huge amount of cash, and he or she wants to make sure the purchase is worthwhile. Establishing a good line of communication with the buyer can ease his or her anxiety and increase the likelihood of a satisfying purchase. Keep the buyer updated of where his or her purchase stands, and perform all your responsibilities as a seller to help the process move as smoothly and problem-free as possible. Trustworthiness goes both ways—just as a buyer has every right to scrutinize you, you have every right to do the same. Make sure you are dealing with a reasonable person. If the buyer appears pushy, demanding, or even unscrupulous, take a pass and wait for another buyer. When you’re dealing with a reasonable individual, selling your car should be a breeze. Interested buyers will want to inspect and test-drive the car. Ask for a driver’s license and accompany them on the test drive so you can readily answer questions relating to the car you’re selling. After a test drive, an interested buyer will likely give you an offer. If you padded your target price, then chances are, the buyer’s offer will just be what you had in mind. If the buyer is asking for something lower, think of possible answers so you can hold on to your price. It’s a good idea to stick to your target price early in the selling process, then lower it if you’re not getting any interested buyers. To start selling your car online fast and for free, head on to the Carmudi home page and click on the ‘Sell your car now’ button. Happy selling!